A Personal Legacy, or Ethical Will, is the perfect vehicle to assist you in becoming aware of the path you truly desire to follow. 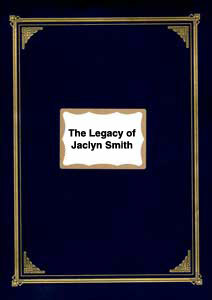 In addition, the creation of a Personal Legacy grants you the opportunity to be remembered in your own words. In a series of one-hour interviews with a Personal Legacy Facilitator, you complete a review of your life, starting with your birth family. You direct the depth and extent of the review. The final product will be a document of whatever length you desire. Reviewing the stages of your life and the inherent wisdom gained from each, enhances your awareness and makes for more solid choices in the future. A document is created that shares your values, beliefs and hopes for the future in your own words. Often the process leads to the discovery of our life's purpose or the recovery of our long-forgotten dreams. Lastly, a Personal Legacy, a tangible link to our immortality, serves as an heirloom that expresses our uniqueness. Passed on from generation to generation, a Personal Legacy document gives our descendents a real sense of who we were. Leaving something behind for others to know you more intimately gives you a sense of peace.